Finally getting around to updating my website. Still some work to do but check it out at Shades-ETC. 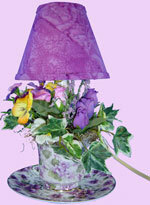 I'm still planning on making more lampshades for teacup and teapot lamps. I have a ton of them to do! Yes, I'm still here. I've been busy with lots of projects. 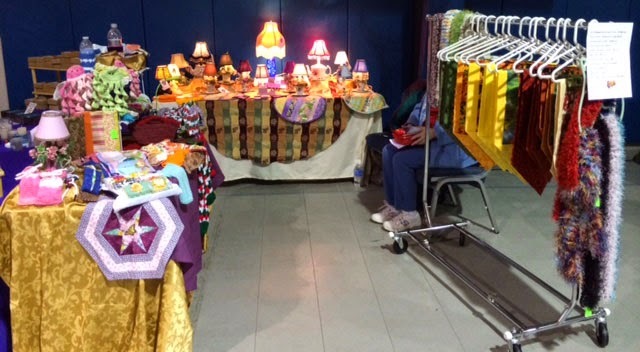 One of them was being a vendor at the local Bethel Baptist Christmas Show in November. I split the space with my friend who makes quilted table runners and other cool items. We had a nice day together and I met a lot of people. We both sold lots of items and felt that it was a good day. Now on to more projects. Here it is; finally done. The customer found the green and coral trim she wanted. It is a fun look. I hope she will send me a picture of it on the lamp. This fabric was from a $300 dress that she found for $3!! 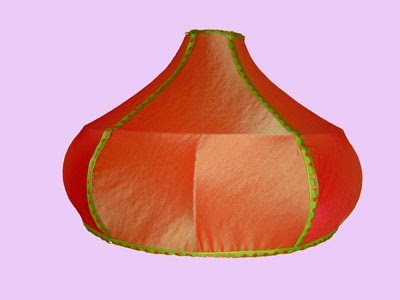 It has a coral lining which I used for the shade's lining. I also dyed the hug snug which I used to wrap the wires with so that it matched the lining. 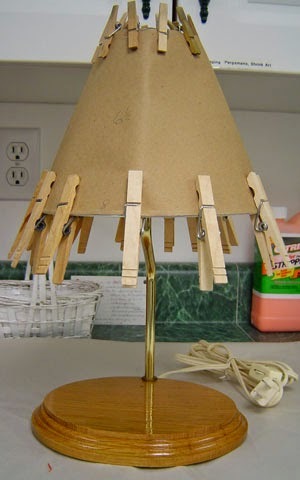 Do you need a lamp updated or a shade redone? 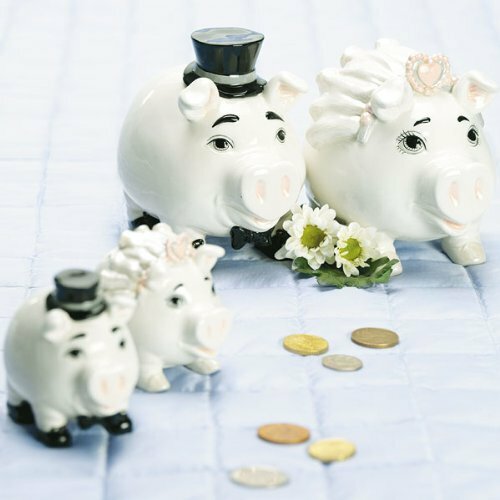 Email or leave a comment below and let's see what we can do for you! I've been working on this lampshade for a customer. It is going to be made with a dress lining and outer fabric. This is the lining. I had just enough fabric for the lining. It has been a real challenge as the lining fabric wants to ravel. I've used some fray check on portions, which I hope will help. I have almost half of the outer fabric on but no picture yet. 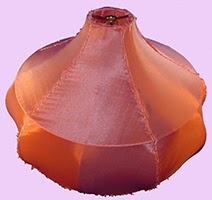 The coral color should be very interesting in the room the customer is putting this lampshade.